Sterling silver woven cuff nmeasures 7 1/4" has a lobster claw clasp. 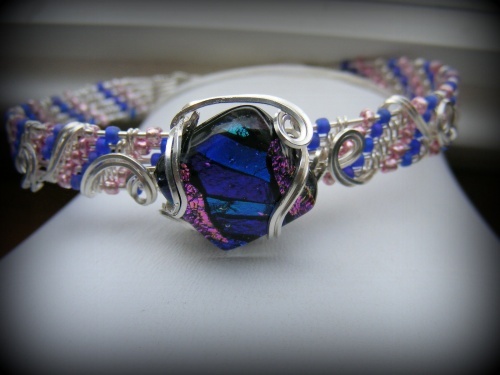 Woven with blue and pink metallic beads and sterling silver wire. Focal is a wire wrapped dramatic and complimentory handmade dichroic piece wire wrapped in sterling silver curls. One of a kind!